BetOnline Poker has introduced a unique Bad Beat promotion that compensates players who lose a hand with a Jack-high flush or better – but only on Mondays. The folk at BetOnline – the most popular skin on the US-facing Chico Poker Network – are not the first to acknowledge that Monday is the least popular day of the week, but at least they are doing something about it! The site has introduced “Bad Beat Mondays” – a promotion in which any player that loses a hand with a Jack-high flush or better can get an instant “Bad Beat Payback” cash bonus deposited straight into their online poker account. The value of the bonus depends on the stake value of the table players are seated at – and there are certain terms and conditions that have to be fulfilled before players qualify for the bonus – but, if you are going to suffer a Bad Beat, Monday is now officially the best day to get sucked out. The BetOnline Bad Beat Monday promotion only applies to players involved in cash games of Texas Hold´em on specially designated “Bad Beat Payback” tables with a minimum of four players seated (not necessarily seeing the flop). Players that lose a hand in which they have made a Jack-high flush (or better) using both their hole cards will qualify for a Bad Beat Bonus provided that they have played at least ten raked hands at the table and email BetOnline Customer Services with an hour of the hand being played with the hand number. 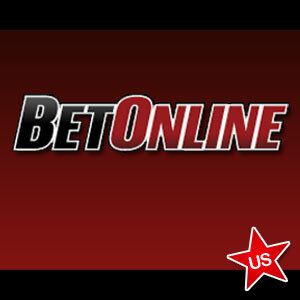 How much are the BetOnline Bad Beat Bonuses? Players can be awarded up to ten Bad Beat Bonuses during the life of the promotion – but surely nobody is that unlucky on a Monday! 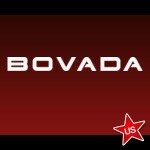 BetOnline Poker usually hosts two feature tournaments at the weekend, each with a $10,000 guaranteed prize pool. However, on Saturday 15 February the site is hosting a special $20,000 guaranteed “Valentine” tournament and are offering ten players the chance to compete in the event for free! For a chance to win a seat in the Valentine event, simply write to promo@betonline.ag with your funniest, wackiest, best, worst or most memorable Valentine Day story, and the generous folk at BetOnline will read them all, select the ten most tear-jerking or LOL love story and reward ten winners with a seat in the target tournament.